The Black Friday name originated in Philadelphia about 4 decades ago as a description of the crazy traffic that occurs as people race to stores for after-thanksgiving sales but later became the day that describes when retailers start to turn a profit (according to wikipedia). It’s become the Sabbath day of materialism. We celebrate Thanksgiving where we acknowledge our blessings with family and friends. Then… bam! We turn into desperate people seeking incredible savings so that we can purchase bigger gifts for the ones we love. Or ourselves. Anticipation. 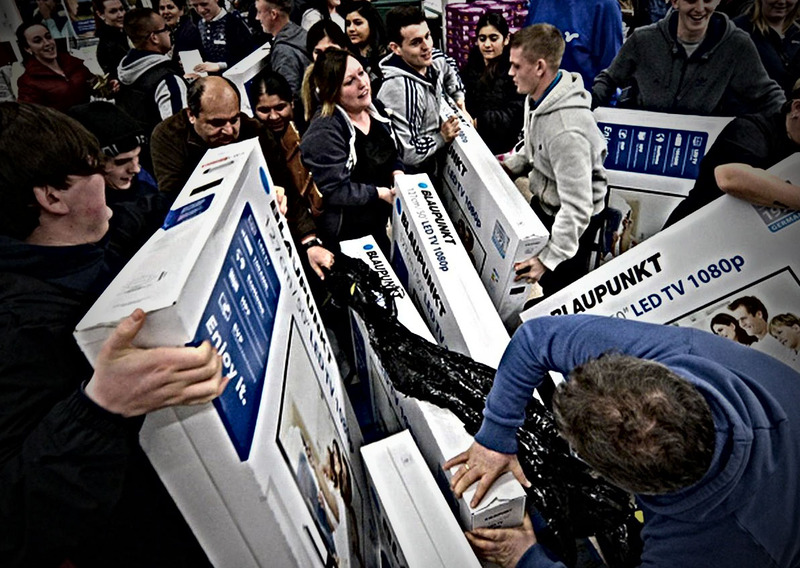 Black Friday is anticipated for weeks before. It’s so desired, people will endure the traffic, the people, the lines, etc. Does your church have a special service or event coming up? You have to create anticipation worthy of it. Social media, advertisements, word-of-mouth buzz, and website descriptions all lead to great anticipation. If people don’t know about it, they’ll not even consider it. Add Value. The church adds incredible value to our lives. Now we need to communicate those stories. If you don’t talk about that value, your event won’t have anticipation. It’ll become a chore and everything negative will be noticed. How does a Church add value? Consider your audience and list goals, dreams, hopes, concerns and pains in their life — make sure your event or service creates a path to the dreams, hopes, and goals or offers solutions to the concerns and pains. This is the true test of engagement. When people don’t find value in something, they lose interest. Share stories of real life change and how you were involved. Deliver. Create an experience in the delivery. Many stores crank their Christmas music, have special entertainment, and special wardrobe, all while following through on the anticipation. Even if you don’t get the deals you wanted on Black Friday, you certainly get the experience. The Church often hypes something but doesn’t fulfill the promise. Make sure you live up to what you promote. The Church has so much more to offer the world than any retailer. Our products are more valuable than anything purchased in stores. Now we need to step up with our communications to be noticed in the clutter of retail promotion. Sadly, if not, our message of hope, mercy, and grace will fall on ears that are listening to the world’s banter of materialism.